Today’s post features Pope County Violin Maker Tollef Erickson, who lived in Cyrus, Minnesota (and later Glenwood) in the 1890’s. We have 2 of his hand crafted violins in our collection. The following article from the Glenwood Herald, January 1, 1897 tells his story very well, so I will reprint it here. “An interesting industry now being carried on in Pope County is that of violin Making. To be sure, it is on a small scale, and in an obscure kind of way, but the instruments made have an admirable finish and tone. It is now about twenty years since Tollef Erickson, then a young man of 21 years, commenced to learn violin making in Santa Cruz, California. He remained on the coast ten years until 1887, when he came to Pope County where he had some brothers, and settled down on a farm in New Prairie, where he had lived ever since, devoting himself to the care of his mother for some years and since she went to love with another son, he has lived a hermit life, employing himself exclusively in the manufacture of violins. In fact the only work he has even done since he came to Pope County, outside of violin making was a couple of weeks’ threshing last fall. To make a good violin is a work of art. The wood must be carefully selected and nothing but skilled workmanship will do. Mr. Erickson gets his material from Lyon and Healy, Chicago, and Howe & Co., Boston, some of it being grown in Switzerland, though he considers the curly maple and fir pine obtained in the southern part of the United States full as good, if not better than imported woods. He makes three violins at a time in order not to loose any time waiting for the clue to dry after putting the parts together. 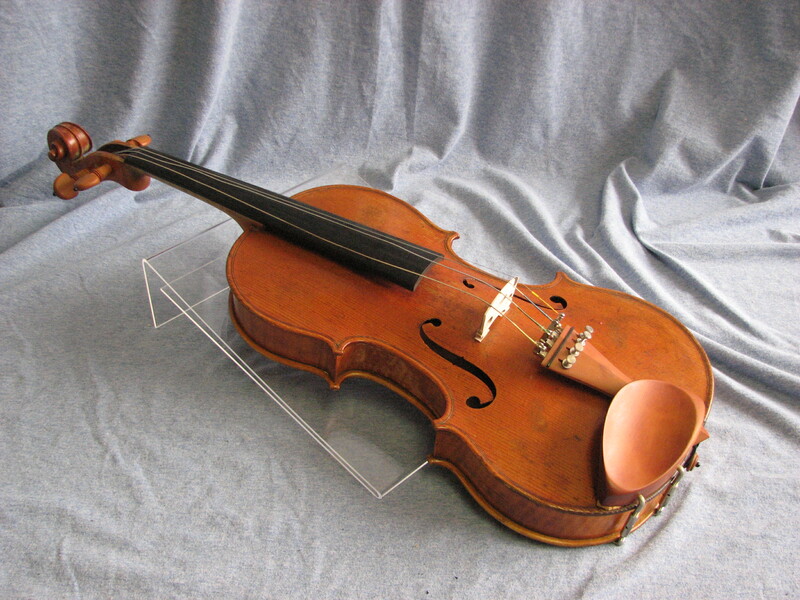 We also have a beautiful Hardanger Violin in our collection. 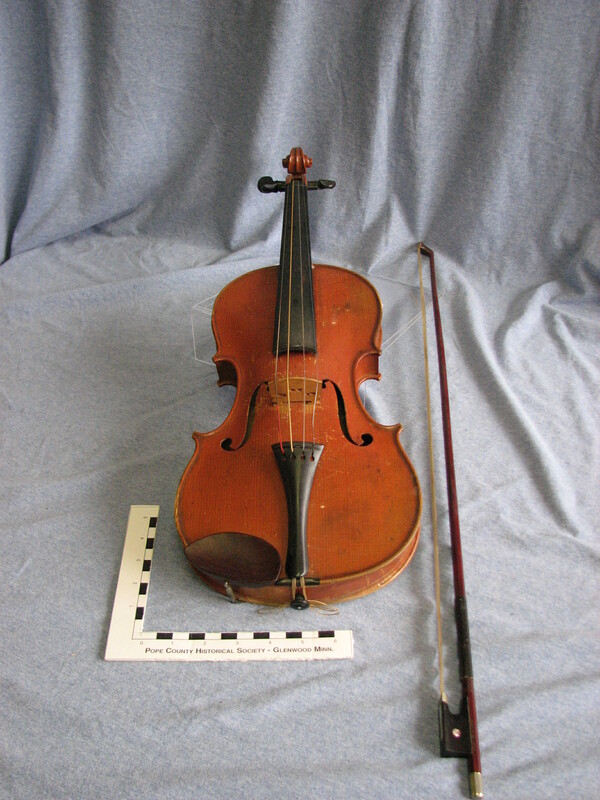 This entry was posted in Collection Notes and tagged A-Z, museum collection, Pope County Minnesota, Pope County Museum, Tollef Erickson, violin, Violin maker. Bookmark the permalink.